This was one of my favourite images from the last year, one of the reasons was because I had never seen one of these before. It was also a great lesson in unexpected discoveries and being adaptable. 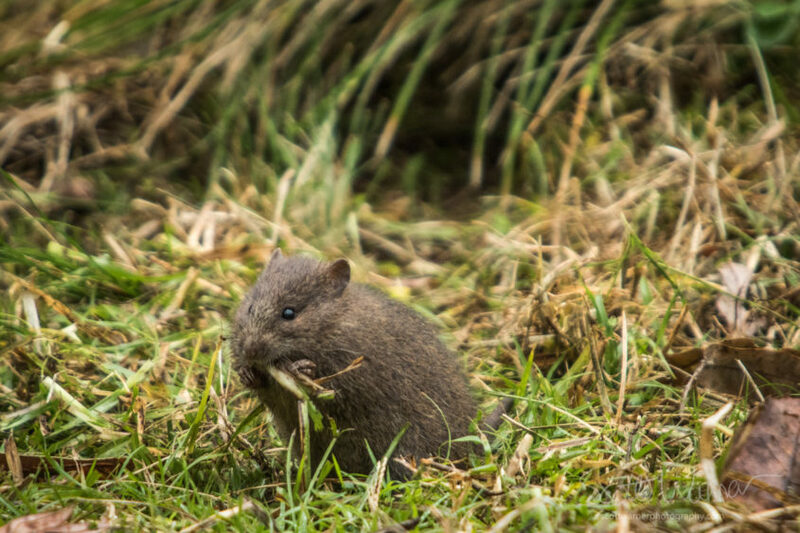 A very cute native rodent – Swamp Rat (Rattus lutreolus) . Seen in the rainforest fringe at Cunninghams Gap. It took this photo on a recce for an upcoming Scenic Rim Photo Walk near Cunningham’s Gap. Arriving in the carpark not long after sunrise I got my gear organised, putting a wide angle lens on, intending to get some photos of the creek which forms the start of the walking track and then to head up into the rainforest. I hadn’t gone 5 steps away from my car when I noticed these small animals on the grassy picnic area. It seemed that they hadn’t noticed me either. 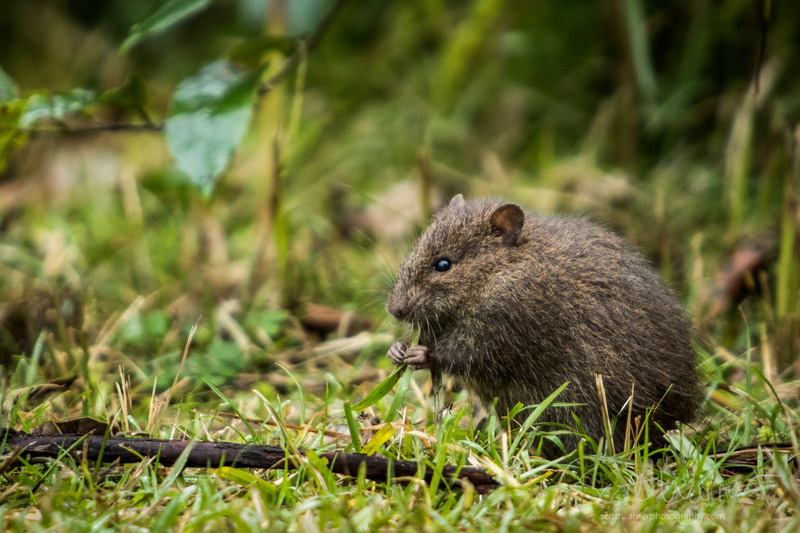 In my experience small animals can be just as frightened off when you retreat as when you moved forward, so slowly and quietly I crouched down till I was out of their view behind a big stumps and rearranged my camera setup to suit. I was there for over an hour, enjoying watching 3 of these native rats exploring and eating before getting a few photos of the Bell Miners and Red Browed Finches in the area and then had to head home. I was also fortunate to briefly see a Turquoise parrot which landed in a nearby bush then promptly took off. A rather rare sighting in theses parts and I was pleased to get 2 frames of it. 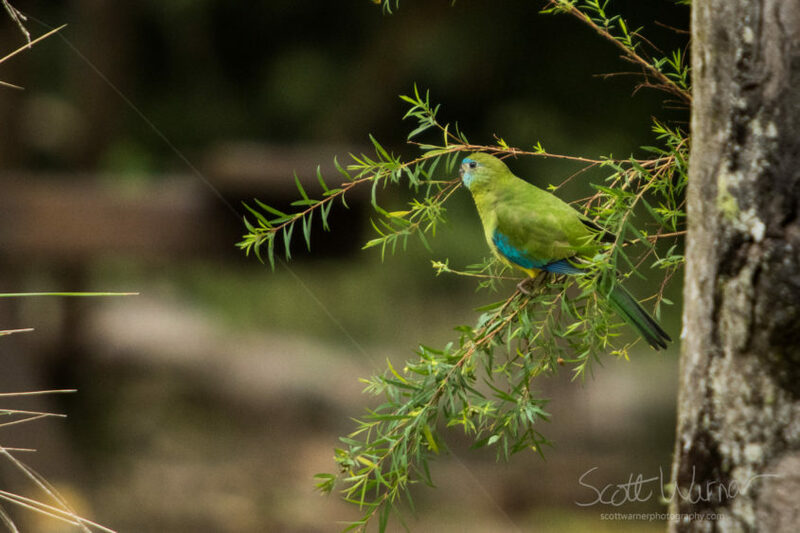 A female Turquoise Parrot – seen at Cunninghams Gap. Once thought to be extinct but have made a great recovery. I never did get down to the creek or the rainforest as it turns out – I spent the whole time within 20 meters of my car in a frequently used picnic area. It just goes to show what is there when we are patient enough to wait and open enough to see. You don’t have to head off into the wild, just your backyard is a good place to start. The Queensland Museum were as usual so helpful in making an identification because I could figure out which of the native rodents this one was. I am really enjoying the behind the scenes stories on the photos scott. Thankyou so much! Thanks Tania, I have quite a few to go. It’s amazing how much memory one photo can evoke.